Walk into a Chinese restaurant in India and the walls are adorned with pictures of dragons, statues of Buddha, and symbols creating a uniquely Chinese ambience. The cuisine, however, reflects strong Indian flavours suiting our local taste buds, eaten most often with a spoon versus chopsticks! This Indian amalgamation of ‘Desi-Chinese’ is for Indians, the real Chinese food! We have the knack of ‘Indianising’ anything to suit our unique needs. Unlike other countries, India has 29 states and seven union territories and each region has its own intricate customs, language, and food. In fact, we have over 3000 recipes across eight major cuisines! So, building for India is more challenging than building for most other countries. Successfully customising experiences and products for India requires leveraging deep consumer insights. Amazon’s Alexa spoke Hinglish(a blend of Hindi and English) when released in India in 2017. She had an Indian accent, cracked cricket jokes, could add jeera, haldi and atta to your shopping list and understood that we needed a daily dose of Venkateswara Suprabhatam and Bollywood party hits! Understanding the opportunity of the non-English speaking audience, startups and large incumbents have launched products and services — Indic keyboards, voice, and localised video streaming platforms to cater to this audience. In a country with over a billion cricket fans, Dream11 pioneered a fantasy sports platform for cricket and over time has forayed into kabaddi, football and basketball. With its freemium model, it has over 41 million strong user base and two-thirds of its user base is from Tier 2 and 3 cities in India. Another uniquely Indian habit is getting fresh milk delivered at home every morning. Built around this need, Milkbasket, a microdelivery platform, delivers milk and household groceries between 5–7am through a ‘contactless’ delivery model, much like how newspapers are delivered. That too with a 99.3% fulfillment rate! Companies building for India cannot stop at one uniquely Indian feature but instead have to ensure that it is part of their core DNA. The upside is that if you can build for scale in a complex market like India, then you can easily deploy your product at scale anywhere in the world. In fact, Uber has been vocal about how it uses India as a testbed for global innovation including cash rides and the Uber Lite app. While Garages were the birthplace of many successful startups in the west, two bedroom apartments have been the birthplace of many successful startups in India. Lack of capital and resources may have been thought of as constraints in the past, but the most recent generation of entrepreneurs are serving as examples on how to build for the next generation of the startup ecosystem. Technology backed solutions also have the power to reach tremendous scale in short periods of time. 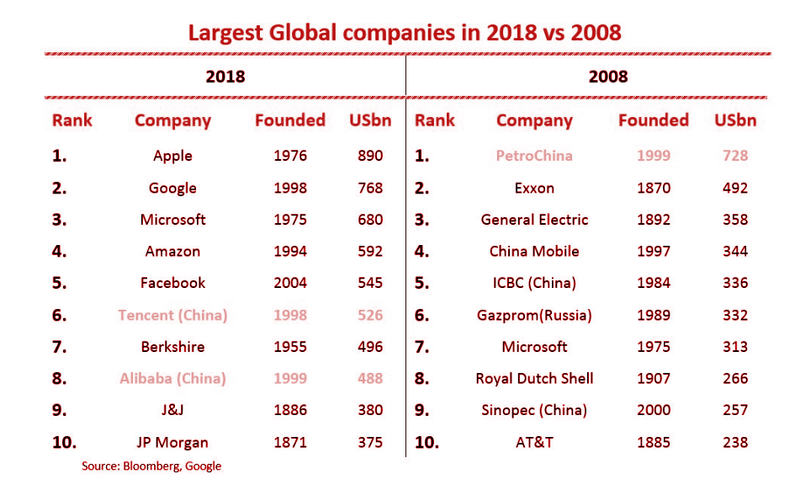 In 2018, majority of the 10 most valuable companies in the world were tech companies. This is in stark contrast to the scenario in 2008 when majority of non-tech incumbents were the market leaders. Indian technology companies too can compete effectively with large incumbents to create most valuable companies. Technology startups with their inherent nimbleness and disruption quotient are also more amenable to share wealth among employees as well as generating significant employment in the society. We have already seen such success stories in India at companies like Flipkart, Paytm and Citrus Pay with employees becoming millionaires ‘overnight’ after many years of hard work. At our current pace, India is slated to be the third-largest economy in the world by 2030 with a $10 trillion GDP. While India’s recent rise is unprecedented, every Indian draws inspiration from our distant illustrious past over 2,000 years when India was once the largest economy in the world. India went through phases of glacial economic growth from 1947 to 1991 as it looked to modernize its largely agrarian economy into an industrial one. 1991 turned out to be the inflection point, with economic liberalization. Parag Khanna, economist and author of ‘The Future is Asian’ notes that in the 19th century, the world was ‘Europeanized’. In the 20th century, it was ‘Americanized’. Now, in the 21st century, the world is being irreversibly ‘Asianized’. A recent CNN report notes how India is the biggest opportunity in global tech today. India is now the global battleground where startups are taking on deep-pocketed rivals. In this version of ‘Game of Thrones’ between giants and startups, deep understanding of the market could be the secret weapon that can give the edge. As the economy grows and entrepreneurs become savvier, India will see more uniquely Indian startups and business models emerge. When the revolution happens in India, it happens quickly. While India will continue to witness a digital revolution in the coming decade, the impending rise in consumption expenditure is preceded by unparalleled growth in data penetration. There is a lot that is changing rapidly and fast changes create opportunities for startups to lead the change. More than 80% of internet users in India primarily access the web through mobile phones, a figure expected to increase to more than 90% over the coming years. In 2018, Indians spent 47 billion hours across the top 5 streaming apps and the Indian OTT market is expected to touch $5 billion by 2023. WhatsApp and Youtube are estimated to have 250 million monthly active users in India. Unified Payments Interface(UPI), the bank-to-bank account settlement mechanism, clocked around 672 million transactions in January 2019, up from 620 million in December 2018. A recent App Annie report notes how global time spent in shopping apps grew to 18 billion hours in 2018, up 45% from 2016. India saw the highest number of sessions on Android devices from 2016–2018. A direct result of this adoption, India’s E-commerce revenue too is expected to jump from US$ 39 billion in 2017 to US$ 120 billion in 2020, growing at an annual rate of 51%, the highest in the world. 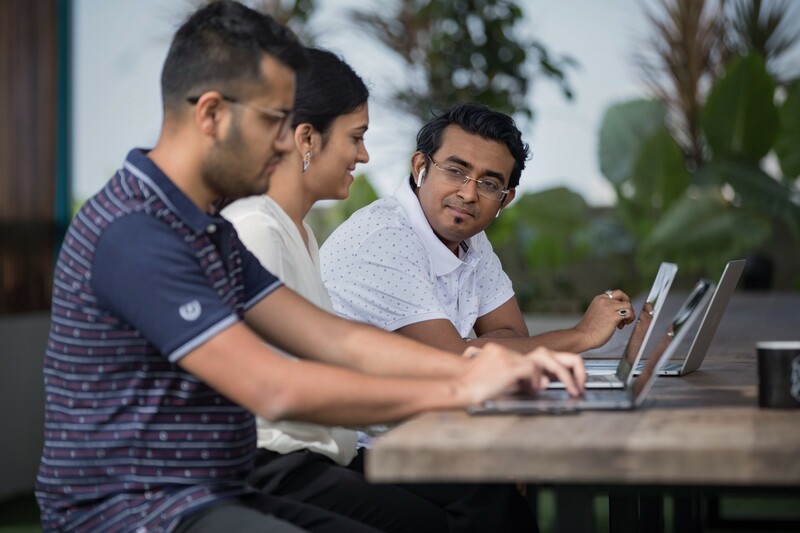 As data adoption increases, local and global enterprises see India as a prime market for Artificial intelligence, given India’s talent pool and flourishing startup ecosystem. To that end, there has been a surge in AI and data science Centres of Excellence (CoE) facilities being set up in India at companies such as TCS, Tech Mahindra and government bodies including NITI Aayog etc. AI is expected to raise India’s annual growth rate by 1.3% points — in a scenario of intelligent machines and humans working together to solve the country’s most difficult problems in 2035. This amounts to an addition of US$957 billion, or 15% of current gross value added (a close approximation of GDP), to India’s economy in 2035 compared with a scenario without AI. Backed by all the progress, India is likely to witness a unique golden era in the next decade with the confluence of three megatrends — data penetration, millennial dominance & spurt in consumption expenditure. This will exponentially drive digital consumption and benefit venture-backed Indian startups which are either driving or leveraging digital innovation. It is expected that India will have between 50–60 unicorns by 2025. The last decade in India can be characterized as the first phase of Venture Capital (VC) led startup innovation in the country. During this period, VCs invested over $35B in startups and created over $90B in value. However, for most of this period, the online consumer base was small, the digital infrastructure was nascent, and most entrepreneurs had fewer mentors to look upto. With resources unlocked and a savvier Indian consumer, startups have the potential to drive big outcomes to match their vision and aspirations. While the last decade laid the foundation of the Indian startup ecosystem, it’s the next decade which will actively capitalize on it. I believe now is an opportune time for entrepreneurs to build for India, do you? Acknowledging Harshith Mallya, a contributor to this article. Harshith is a Kstart fellow. Disclaimer: The article is the independent opinion of the author and does not represent those of Kstart or Kalaari. Kalaari is an investor in Milkbasket and Dream11. Kalaari or Kstart is not an investor in any other startups that may have been mentioned above.